As we bid farewell to the last month of spring and usher in the first of the Christmas months, it is only apt for us to plan plot our Christmas destinations this early. 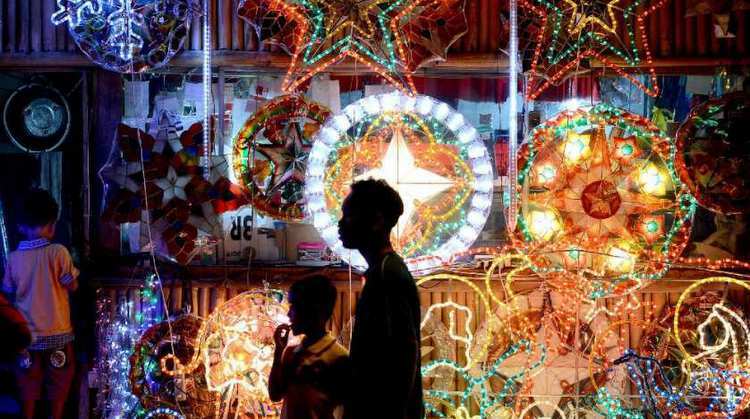 In the Philippines, the first bliss of Christmas is already felt as the last vestiges of August die and the first days of September comes. Popular shopping malls in the country and various fast food places would already be blaring the all-too familiar Christmas hits composed and sung by local artist Jose Mari Chan. Furthermore, we would already see the initial stages of Christmas decoration in different places across the metro. However, if you have spent the, past few Christmases in the confines of Manila—or even as far as a day trip to Pampanga for an adventure in Alviera, perhaps it is high-time to discover how the rest of the country celebrates the most wonderful season all year. Charming, bright but unassuming, our list of popular Philippine Christmas destinations starts with the city of smiles, Bacolod City. Apart from offering a diverse array of delicious food choices, the city of smiles is known for their sweet and decadent treats which you can freely indulge in during the fattest season of the year or bring home to the rest of your families and friends. Moreover, Bacolod is not known as the city of smiles for nothing as the locals are known for their world-class hospitality and warm welcome which makes it a premier choice for spending the holidays in. If you wish to experience a bright and colorful Christmas, then spend the holidays nowhere else but San Fernando in the province of Pampanga. As December comes in, the sky of San Fernando becomes a backdrop for a colorful interplay of various lanterns proudly made by the locals. Watch as Christmas lanterns of different sizes illuminate the night sky for a Christmas experience unlike any other. Moreover, some of these massive lanterns would exhibit not only a rhythm of lights but music and sounds as well. Conventional Christmas destinations are ideally cold, but if you wish to experience something a little different this year, then it is best to go camping in Zambales. This is particularly enjoyable for groups of friends who are spending the holidays away from families or young families. Additionally, the escape to a remote place provides an avenue for connecting and bonding without the distraction of social media, pollution, and noise. If you have always wanted to visit paradise then why not do so during Christmastime? And in Palawan no less? Christmas in Paradise would probably be an understatement should you ever have the fortune of spending the holidays on this beautiful island. Apart from the scenic views and picturesque beaches, there is a lot to do which would make Palawan an ideal spot for couples who wish to escape the city. Given how progressive the city has been for the past few years, it would be no question that it would be included in this list. The Queen City of the South offers travelers and locals alike a lot of activities and tourist spots to visit not only for Christmas but at any time of the year as well. Take a bite of their world-famous lechon or visit one of its many pristine beaches. If traveling to different islands is your thing, Cebu is also the perfect spot to segue to any nearby islands during the length of your stay.